Orange County Mayor Teresa Jacobs invites Orange County employees and the extended community to help make the holiday season brighter for children in need by joining the 2016 Holiday Heroes Toy Drive. Now in its sixth year, Mayor Teresa Jacobs launched the Toy Drive during Orange County’s Board of County Commissioners meeting on Nov. 15. Since the Toy Drive’s inception, more than 17,250 toys have been distributed to local children through the Holiday Heroes Toy Drive. The Toy Drive ends on Dec. 14, 2016. The Holiday Heroes Toy Drive unites citizens and Orange County employees in assisting families during the season of giving by providing new, unwrapped toys for infants, children and teens in need. 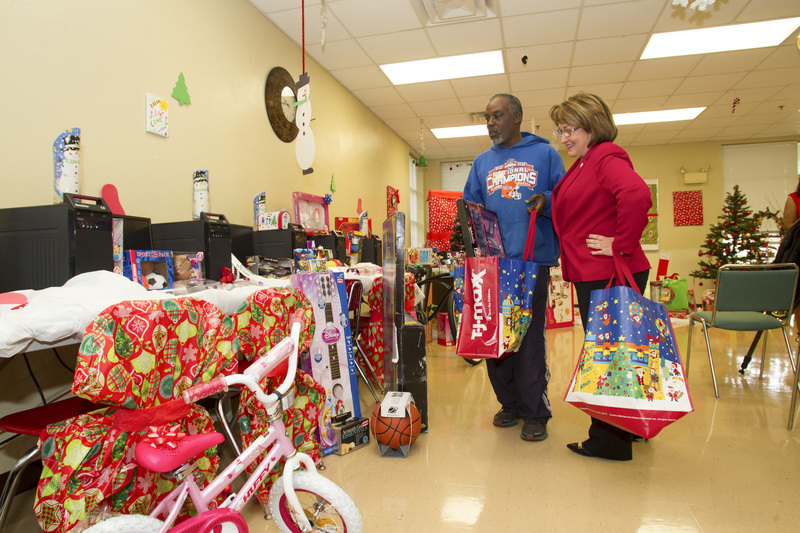 Last year, Orange County employees and the community collected more than 5,100 toys for local children. Hundreds of Orange County employees participate in the annual event. Last year, Orange County Parks and Recreation Division collected the most toys, donating more than 2,000 toys and gift cards. Other large donor divisions included Orange County Corrections with 567 toys, Utilities with 326 toys, Fire Rescue with 257 toys and Public Works, which loaded a truck full of 206 unwrapped toys. Upon collection, all toys donated to the Holiday Heroes Toy Drive are sorted by age and gender— a task that is only accomplished through countless Orange County employee and volunteer hours. Toy donations are provided to local families and children in need through the Orange County Neighborhood Centers for Families, Orange County Public Schools’ Homeless Program, Wraparound Orange and United Against Poverty, formerly known as the Community Food and Outreach Center. This annual tradition began in 2011 and has truly evolved into Orange County’s signature holiday initiative. Suggested donations include basketballs, soccer balls, model cars and trucks, sporting equipment, craft kits, junior board games, dolls, Barbie sets, LEGOs, action figures, skateboards, helmets and tea sets. For teens and preteens, recommended items include electronics, accessories, custom jewelry and gift cards.